Requiem. A kingdom forged in flame and blood. A kingdom for those who can grow wings, blow fire, and take to the sky as dragons. After a long war, Requiem is founded and her columns rise. Yet Requiem will never know peace so long as Raem, the cruel Demon King, still lurks in his underground realm. Forever he plagues the dragons of Requiem, sending enemies to burn their forests and topple their halls. 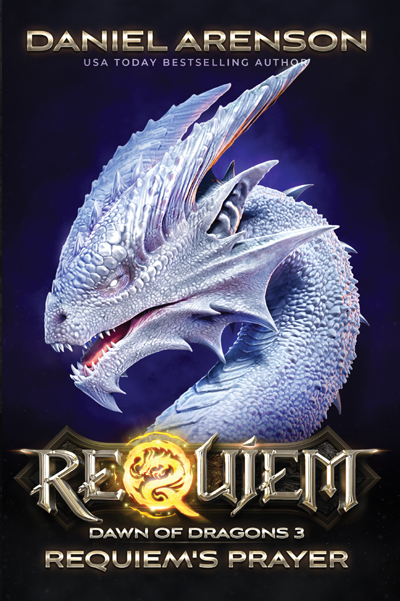 The dragons of Requiem have repelled attacks on their kingdom, yet now they must fly to their most dangerous battlefield. For the first time, Requiem's dragons will go underground, into the Abyss itself . . . and face the Demon King in darkness.